Capella is now Sold Out. If you are interested in Capella, please be sure to visit Varenna at Orchard Hills. 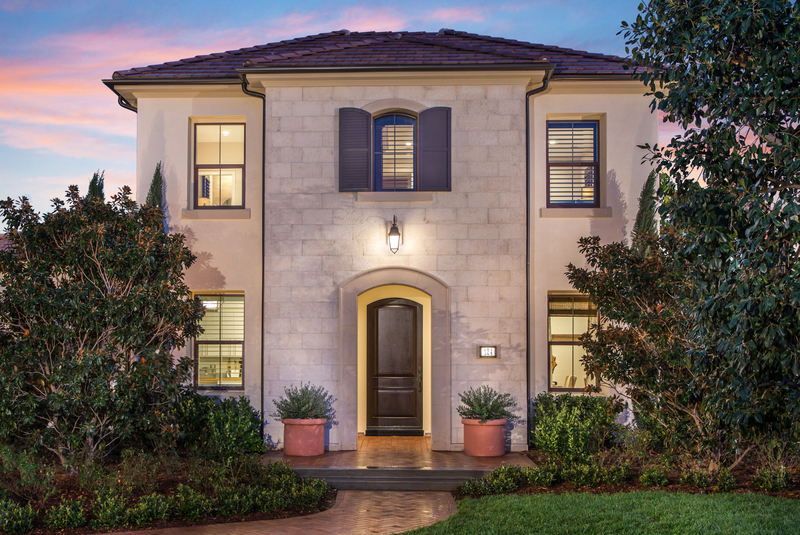 Capella presents a limited selection of 72 single-family homes within the gated enclave of the Groves at Orchard Hills. Homes are graced with the utmost in luxurious appointments, including lavish master retreats with spacious walk-in closets, spa-style baths and chef-inspired designer kitchens equipped with granite counters and GE Monogram appliances. Elegantly detailed floorplans offer the popular California Room, first-floor guest suite and ensuite baths in all secondary bedrooms. Floor plans, renderings & pricing are subject to change without notice. Trademarks are the property of their respective owners. "Masterfully Planned by the Irvine Company" means that the Irvine Company created the master land plan for all Irvine Company communities. The "master land plan" includes the overall entitlement and design of each community but does not include the design, construction and sale of homes. The design, construction and sale of homes is the sole responsibility of community builders. The Irvine Company is not designing, constructing or offering homes for sale in any community.